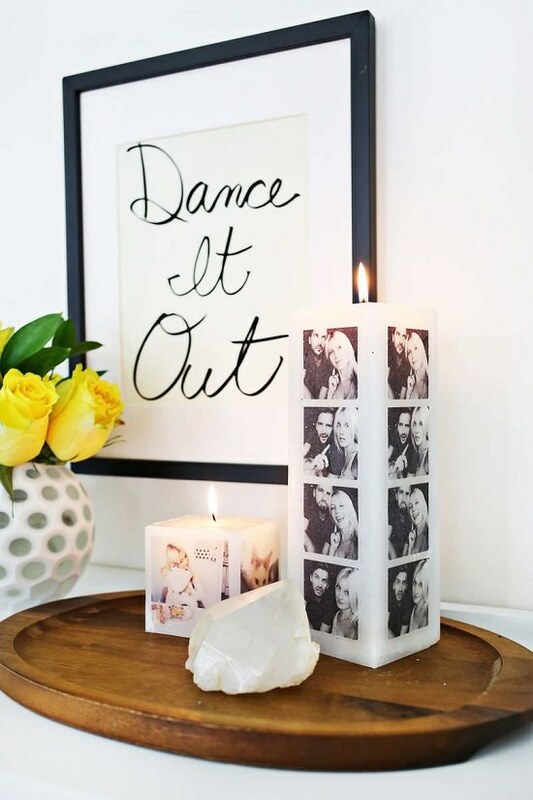 Satiate your crafty side with these fabulous DIY Photo Craft Ideas! No matter the what the occasion is photo crafts never go out of trend. 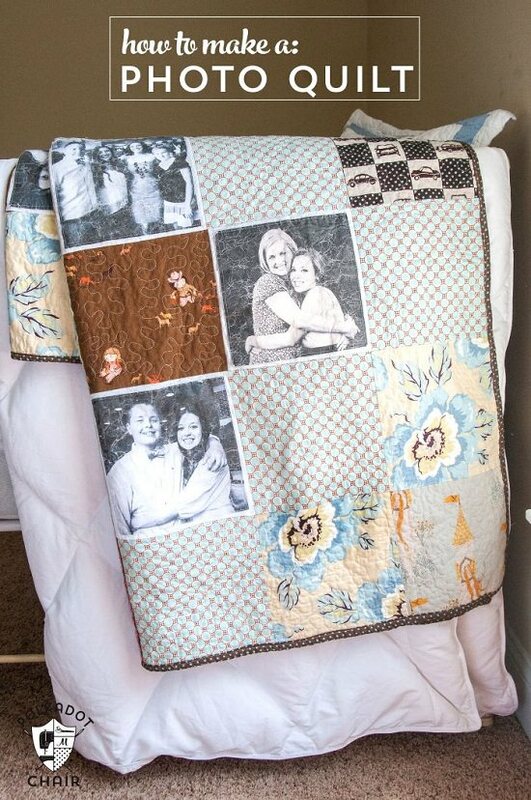 For extra warmth and coziness in cold winter nights, consider crafting out this photo quilt. Learn how to make it here. 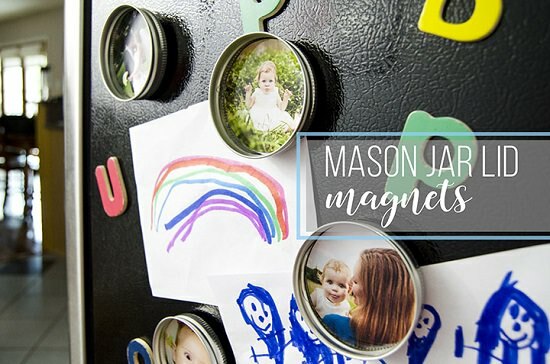 Dress up your fridge with this unique and personalized selection of mason jar magnets. Visit abeautifulmess for more details. 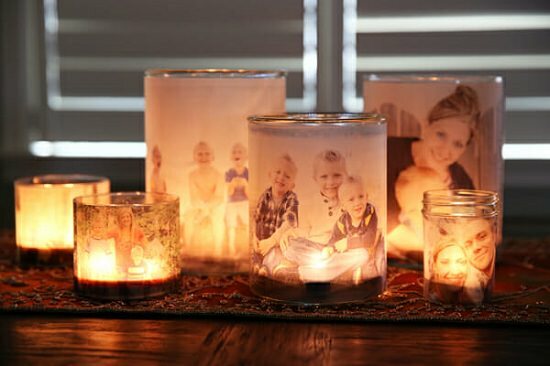 Take your candle-making game to the next level with this fresh photo-etching twist. Know more here. 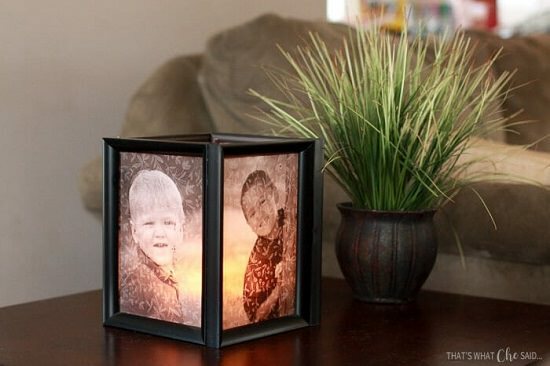 If you have run out of homemade chocolates or soaps to give away as Christmas gifts, consider this ultra personalized photo luminary here for a change. Floral accents and pictures add meaning to this routine hula hoop. Here‘s the DIY! 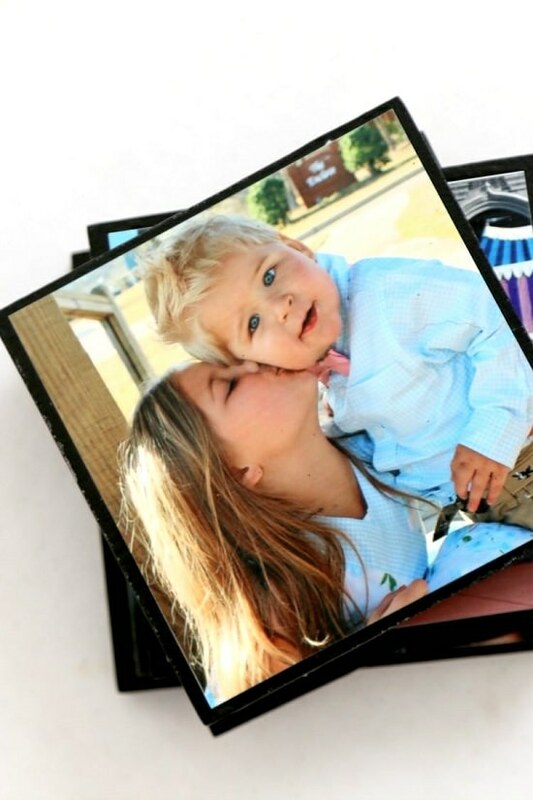 Transfer photos to ceramic pieces and immortalize precious moments in the process. Click here for the DIY. 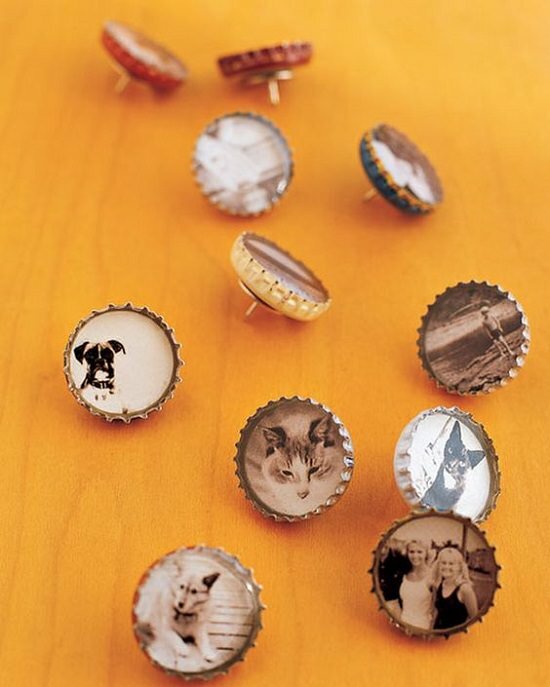 Give a personalized makeover to your collection of bottle caps with this easy photo craft idea. Find out more here. This inexpensive idea of making photo coasters is so versatile that it can lend itself to anything you like, from tiles to magnets. See this DIY to make it. 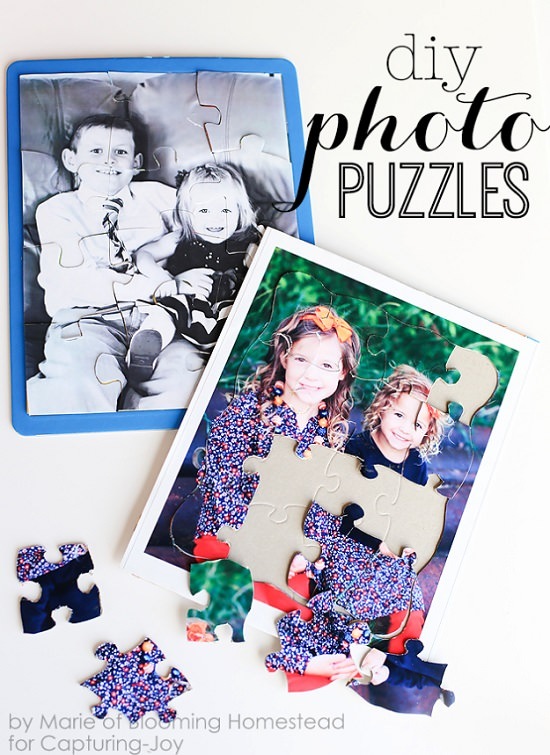 DIY photo puzzles are exciting and fun playthings for your tiny tots. We found the idea here. This geometrical arrangement of photographs does justice to formal setups. Get help from this DIY. This charming wedding invite includes a series of photographs with appropriate couplets to paint a picture of their love. Follow the instructions here. Spell out your favorite emotion or quotation in DIY photo letters to magnify their effect in your daily life. 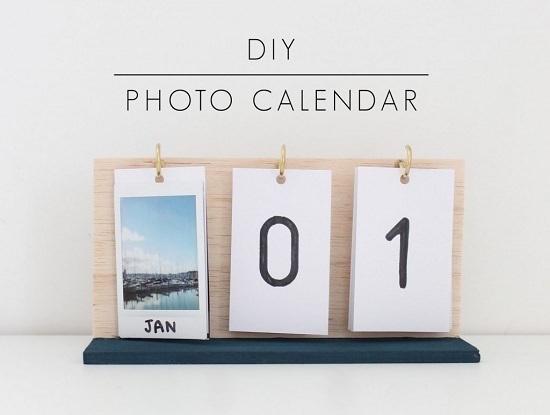 Visit Shutterfly for the DIY! Create dazzling photo pendants at a fraction of the cost with this easy tutorial by handimania. Excite kids into spinning their brain wheels with these interesting lego picture puzzles. Learn the steps here. 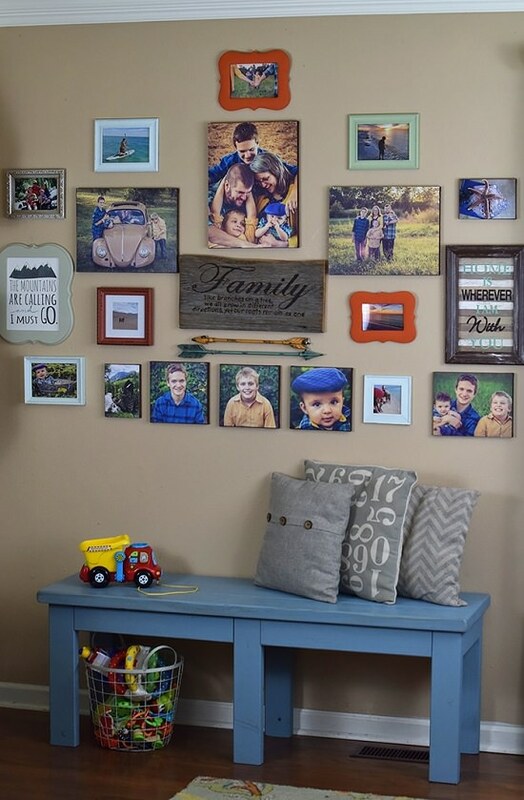 Making new photo walls is an excellent way to commemorate birthdays and milestones every year. See the tutorial here. 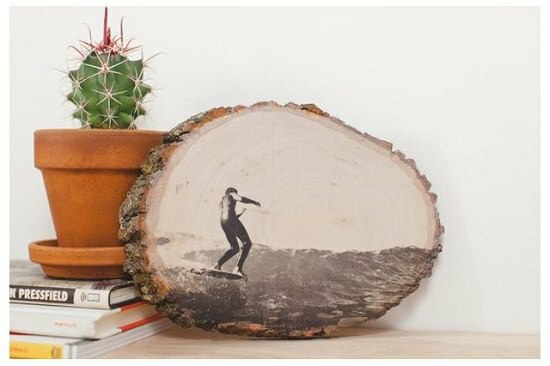 Transfer proud photos of your graduation or first surf into wooden blocks to get those compliments rolling every time. Hunker provides the DIY! This DIY will make you realize that meals eaten by the twinkly glow of photo luminaries are the best ones ever. 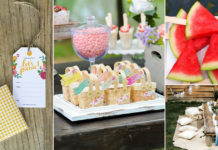 DIY popsicle stick photos is a subtle way to showcase your love to the world. You can make it by following this post. 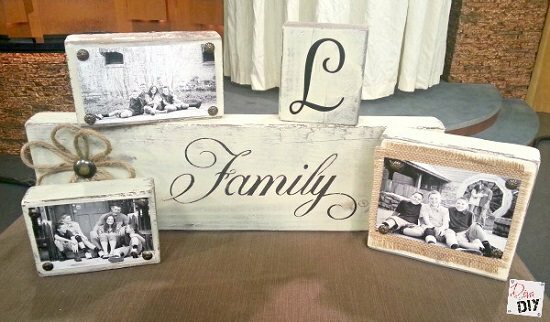 These versatile photo blocks are perfect for sending out season’s greetings or displaying family photos on the mantel. Here‘s how! 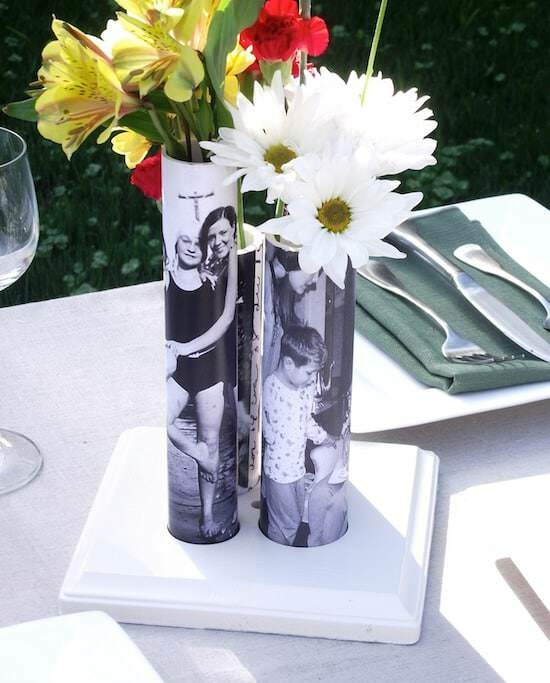 Use printed pictures as decorating ideas for PVC pipes, and everybody will think you have picked up classy vases from the store. To know more, click here. This personalized table lamp makes sure you drift to sleep with the warm memories of loved ones even when the night seems lonely outside. 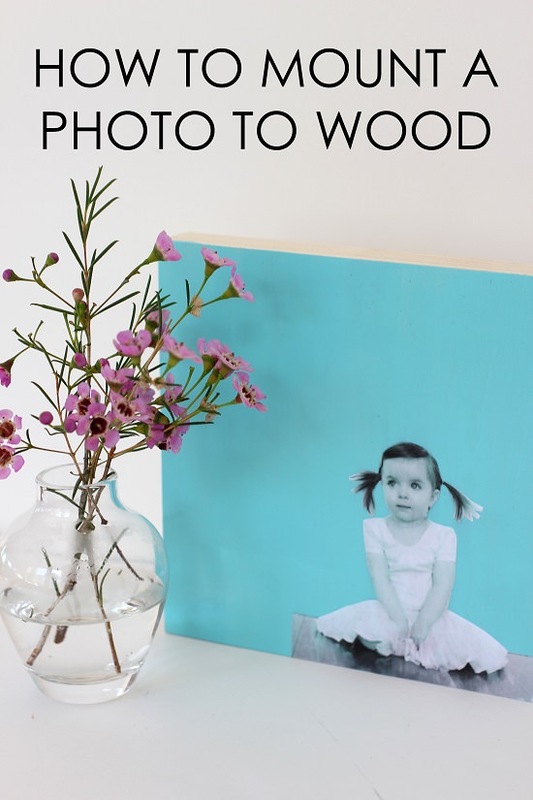 The DIY photo craft is available at whosaidcrafts. 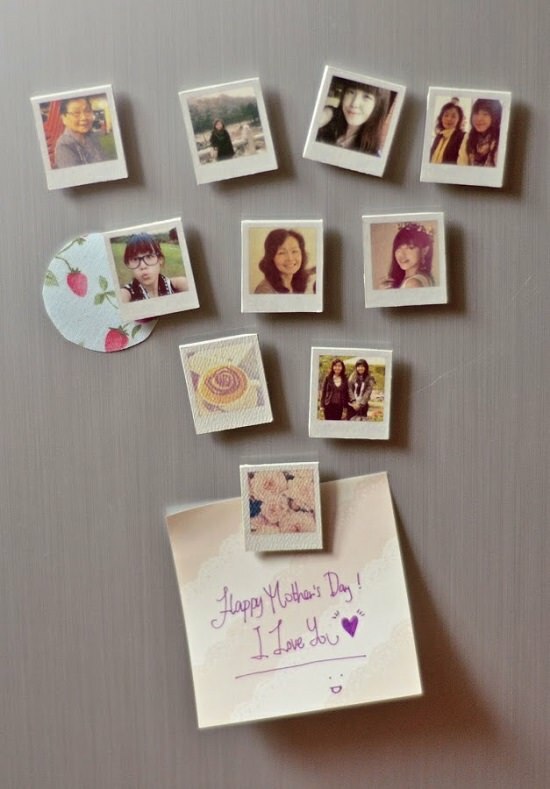 A unique display of candid pictures is downright the most adorable gift for someone you love. Check out this post for the DIY. 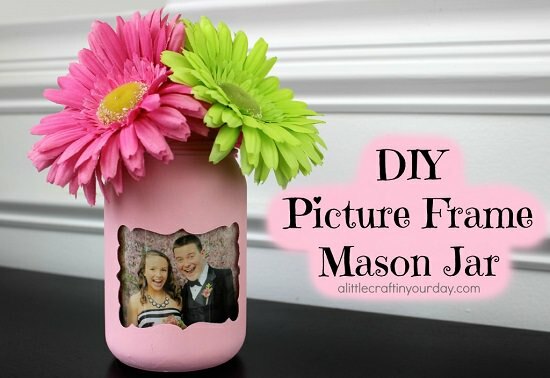 This super cool mason jar hack means you can put in flowers and pictures together as we found here. Sealing photos in glass make them everlasting and give them a polished look that takes nothing to maintain. The simple tutorial is here. 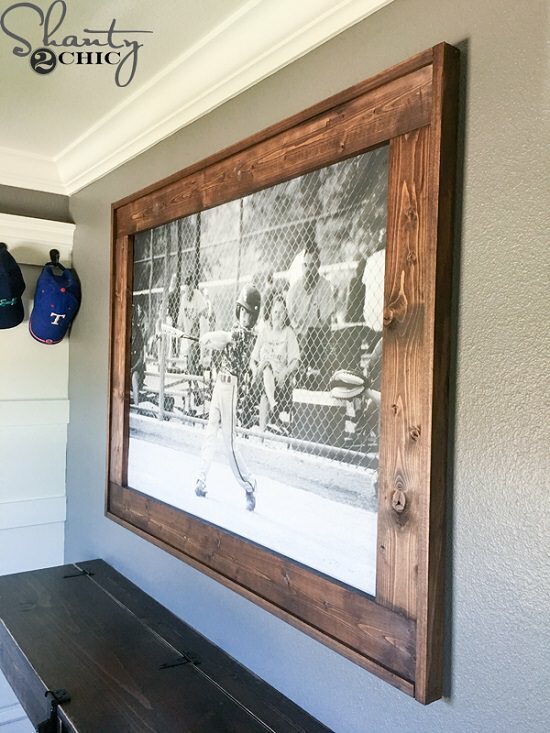 This beautiful interplay of colors and rustic elements make this beautiful photo gallery the most attractive focal point of the home. Get more details from this article. 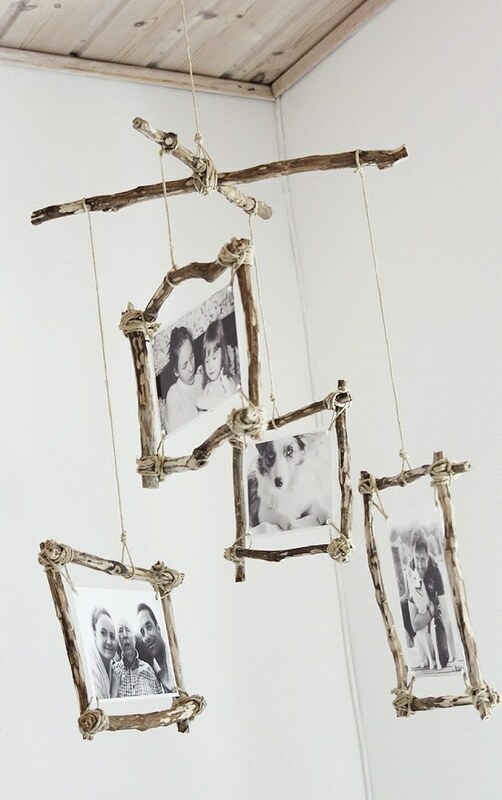 A very rustic idea in our list of DIY Photo Craft Ideas. 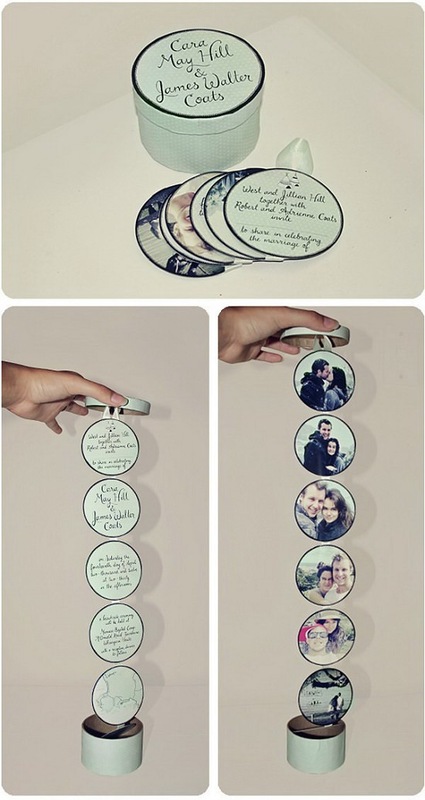 This interesting tree mobile is an easy and fun way to display pictures that are closest to your heart. The DIY is here. 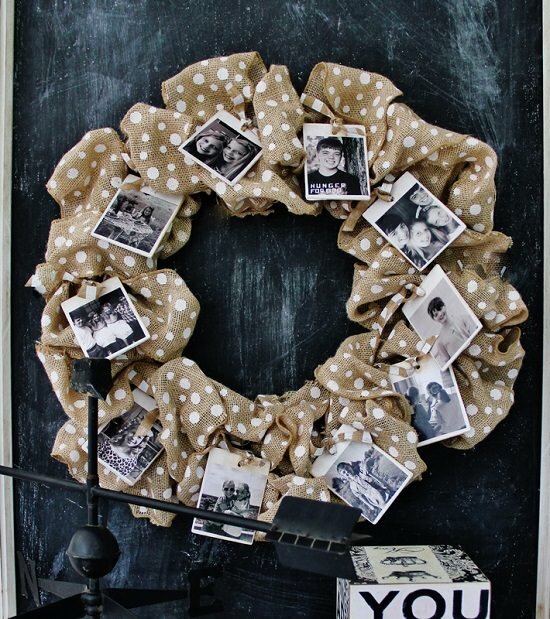 Weaving family photos into the wreath will ensure nobody will steal it and make it their own. The project details are here. Use photos from all your vacations to create this 3D-display; make new ones every year to celebrate the travel bug in you. Buzzfeed came up with this idea! 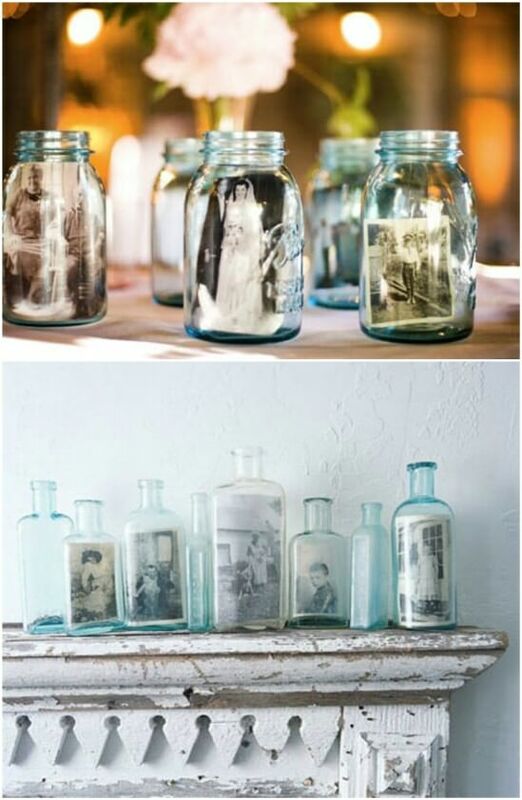 Display old family photographs in mason jars and glass bottles for a unique, frozen-in-time look. Visit apartmenttherapy for the detailed tutorial. 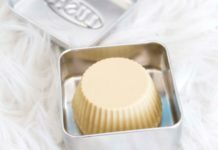 Not just jewelry, you can apply this tutorial to keyrings, cufflinks, fridge magnets and practically anything that could use a quick, game-changing makeover. Steps with the material used are here. This fun flip-over calendar attaches breezy pictures to dates, making it a colorful addition to your desk. Here‘s the DIY with details. 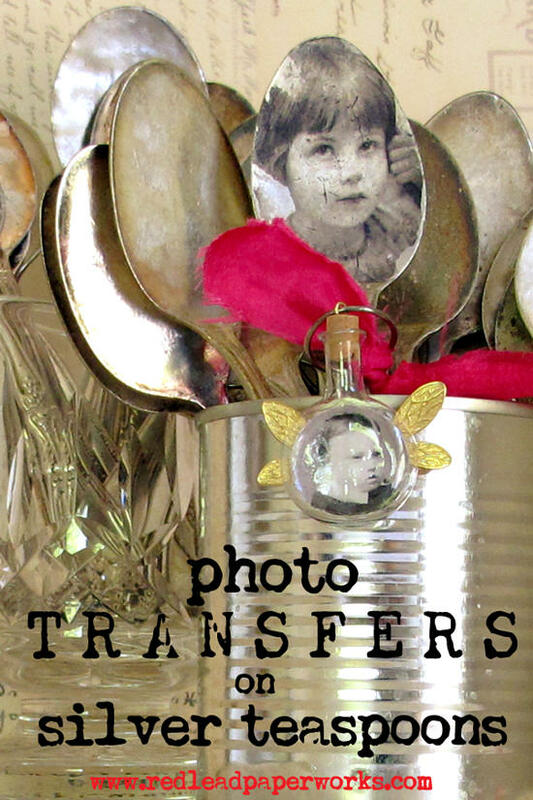 This super easy hack by redlead.typepad shows you how to etch photos into silver spoons for a classy, personalized touch to the dining table. 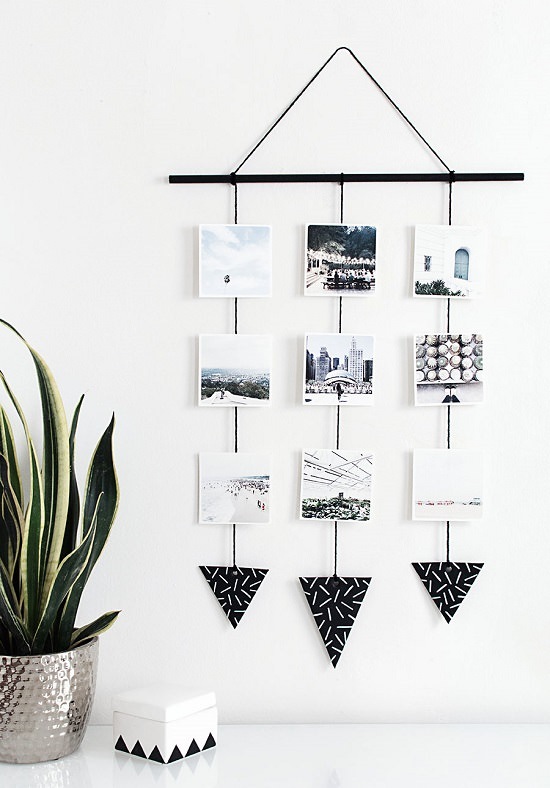 This sleek photo frame can make a grand statement in even the shabbiest room of the house. Learn more with this DIY. 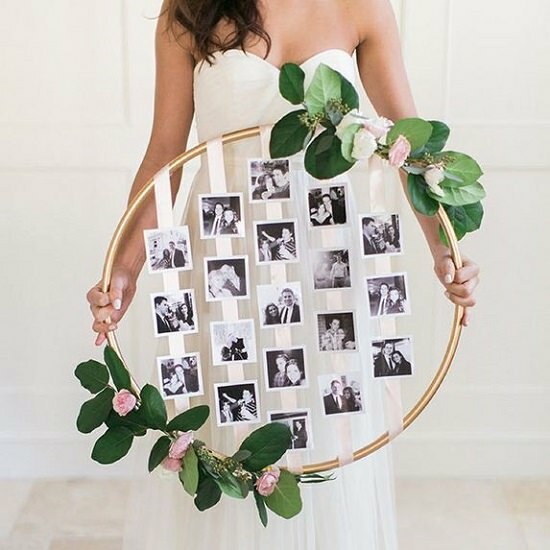 What are your thoughts on these DIY Photo Craft Ideas? Follow us on Pinterest to get a regular dose of creative ideas!